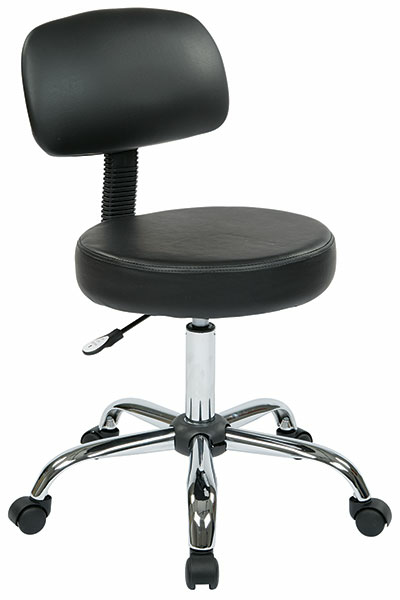 Pneumatic Drafting Chair with Vinyl Stool and Back. Heavy Duty Chrome Base with Dual Wheel Carpet Casters. Height Adjustment 19.5" to 24.5"